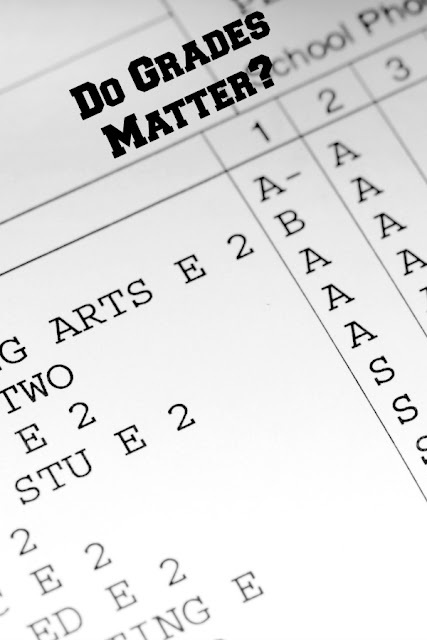 Home » middle-school » parenting » Are Grades Important? Our district doesn't do grades in elementary school. Now Smarty is experiencing her first shock of getting actual grades. Is it good for her and do grades actually matter? Well, here is my point of view. Our district does not give grades in elementary school. Instead, students bring home numerical report cards three times a year. This report card is rather long, and one can only hope that every parent is able to make sense of it. Each subject is broken into a number of subcategories, and each subcategory is measured by numbers from 1 to 4. 1 means that the student does not meet expectations of the grade level, 2 is partially achieving, 3 is on grade level, and 4 is above grade. Any given subcategory can also have a star in it - this means, "we haven't assessed it yet". There is also a summation of work habits and behavior - that one uses letters, from O for outstanding to I for "needs improvement". 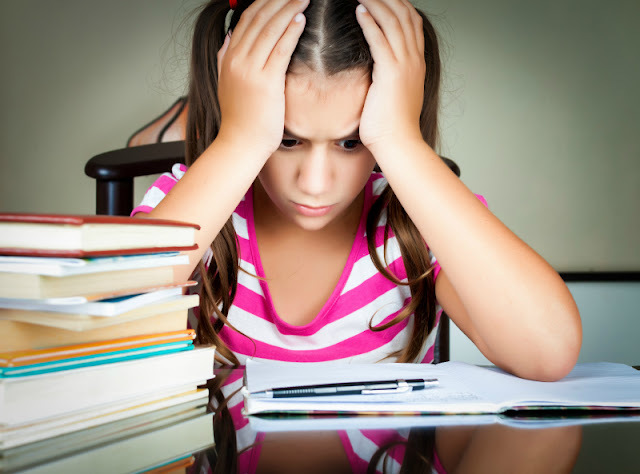 In the beginning, we did not like this system, because teachers were extremely reluctant to give "above grade" evaluations to our daughter, who was by far above grade both in reading and math throughout her elementary school years. See, the cards were expected to show "learning progress", and it is rather hard to show a learning progress of someone who is already "above grade" in the first evaluation period. The "politically correct" answer the teacher gave us to our inquiries was that students are simply not being assessed on the material above where they are supposed to be at this point of the year. Interestingly, in grade 3, this approach magically changed, and our daughter was sporting a lot of 4s in her fall report cards. I was always wondering if this was because at that time she was already identified as academically gifted and those children were "allowed" to be above grade early in the year. In retrospect, there is something to be said about standards-based system. It actually gives everyone a better idea about strengths and weaknesses of each student in specific categories. Now, in our middle school, students will get one grade for language and social studies and one grade for science and math. This does not seem to offer a lot of granularity - if the student is strong in history but weak in language, how will it affect his or her grade? See those little squares next to certain items? They mean "missing work". It slowly dawns on Smarty that while quizzes are important, her work habits matter too. No amount of lecturing on my part about remembering to turn her work in drove the point home quite as much as seeing 0 on the work that she did not turn in. Also, there is a separate weekly grade given by this particular teacher for "class participation and work habits" where Smarty lost a couple of points for not raising her hand before contributing to a class discussion. You would think that she learned that lesson in K - nope, this still happens to her. 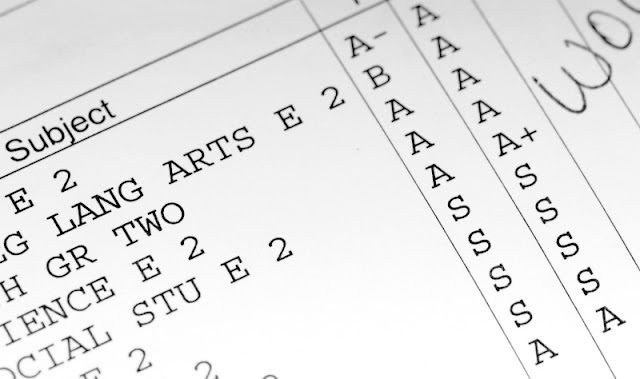 In summary, I think that grades can be a useful tool for a student, a teacher, and a parent, if they are not looked as a reflection of knowledge but more as a diagnostic tool that can be drilled down into to understand whether a student have more problems with showing mastery (tests), completing work (homework, classwork assignments), or organizational skills (missing work). In this sense, I am very pleased that Smarty finally has grades, that she does not get A+ all the time, and that she can see herself how her behaviors influence her grades. I actually wish she would get this kind of grades earlier (perhaps, starting in grade 4), so she would have more time to develop proper work habits that will be so sorely needed in higher grades. Does your elementary school do grades or, if you are homeschooling, do you give grades? What is your general attitude towards grades? I think specific grades like this can be helpful. 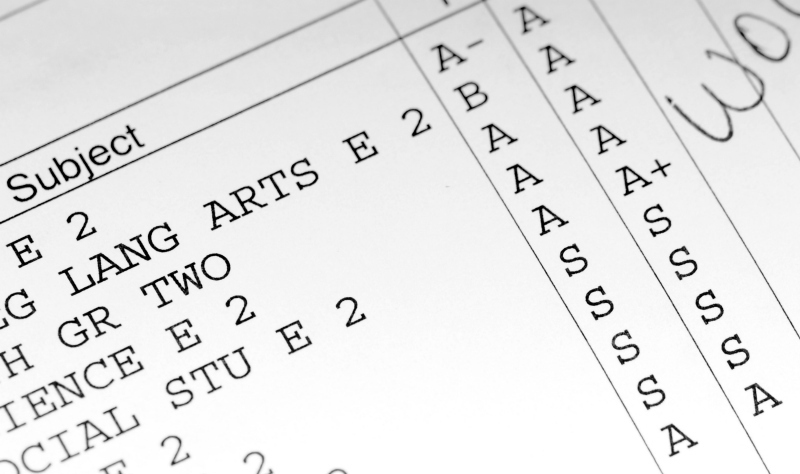 Overall grades that are not broken down into specifics are not particularly helpful, in my experience. I like how your school district is doing it, of standards based grading for elementary, and then the cumulative grade for middle school. Our local school district back when I was teaching also did standards based grading for the lower elementary, with a remarkably similar structure to yours, and I loved that because it easily showed what certain students had mastered, and what other students had not. I believe 4/5 grade had number grades that translated to the traditional A/B/C/D/F grades.